Recently, I was introduced to Pink Dingo , a micro-giving organization with a new approach to giving to those in need. Pink Dingo provides several ways for a donor to make small donations (as little as $.99) to more than 1.8 million US nonprofit organizations. Their list of causes includes most officially recognized 501(c) organizations. This includes many of the animal rescues and other charitable organizations that are dependent on donations to care for sick and abandoned animals. I encourage you to check it out. Starting at the Pink Dingo, "about us" page , I starated the process by clicking on the "causes" tab and searching for "lab rescues". 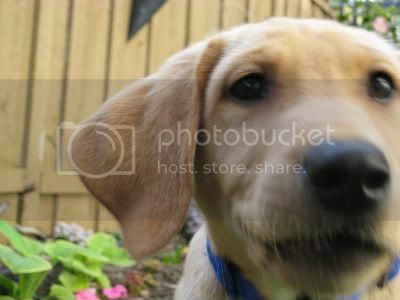 The search yielded 9 pages of results starting with Heart of Texas Lab Rescue, Inc. currently profiled on this site. Pink Dingo then leads you through the simple process of donating as little as $0.99 to your favorite cause. 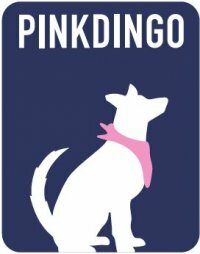 Pink Dingo then sends a check (minus 6.5% fee to cover collection costs) to the nonprofit of your choice. I skipped the cookie with my afternoon coffee today and donated the $2.00 to a worthy cause to help Sweet dogs and cats in need. The good feeling that comes with doing the right thing lasted longer than the sugar rush. Mmmm. Best to all of our readers and your Sweet Dogs. Pinkdingo Beta from Pinkdingo on Vimeo.